As you may know, I'm a bit of a crazy cat lady. 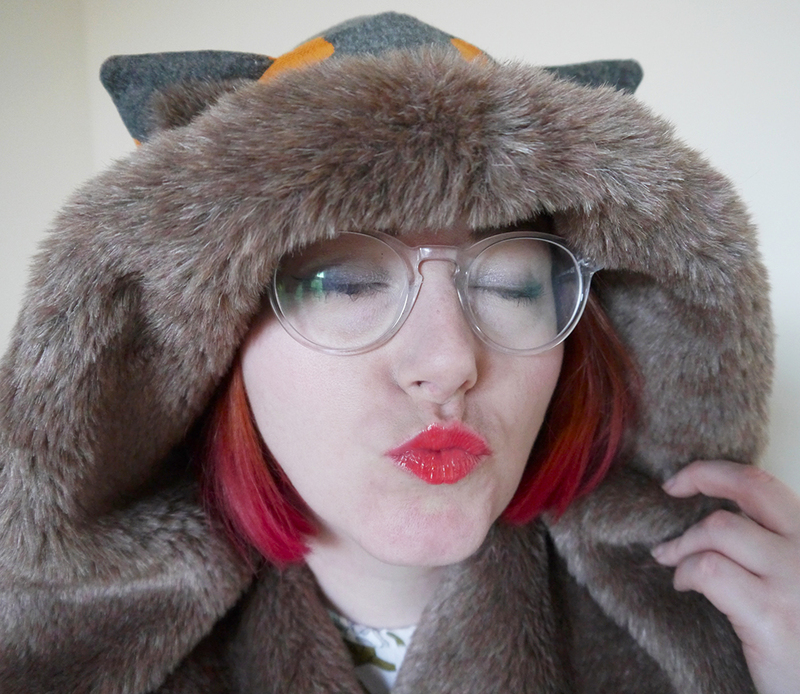 Clothing featuring cats is always top of my wishlist but clothing that turns me into a cat is even better! Hence why I was super excited to show off the feline side of this Chouchou Hollyhood Kitty Heart. 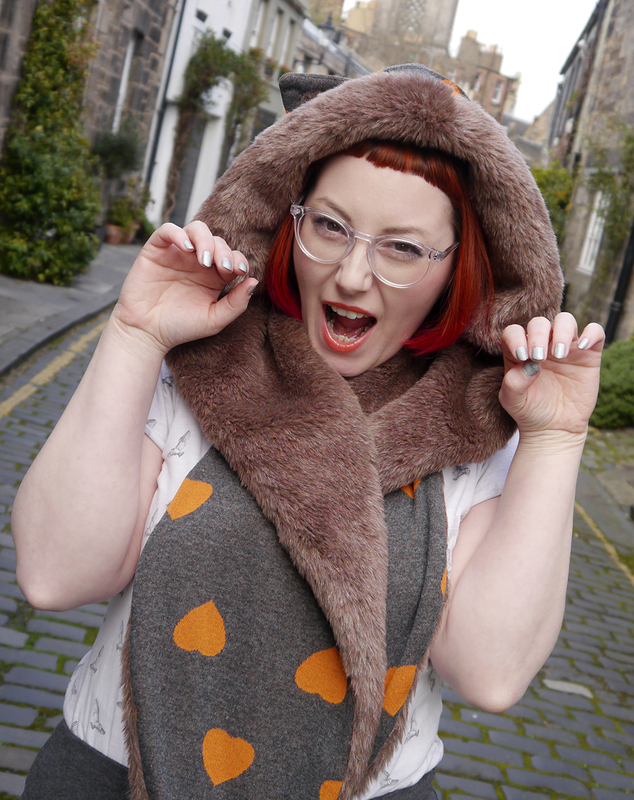 The faux fur look suited Kimberley perfectly, but I wanted to prove that this luxury accessory works just as well for a fun casual look. I opted for comfortable jersey basics alongside some colourful accessories. This Bonnie Bling necklace ties in so well with the heart print of this hood. Nothing cheers up an outfit like a flash of orange here and there. Or is that just me?! 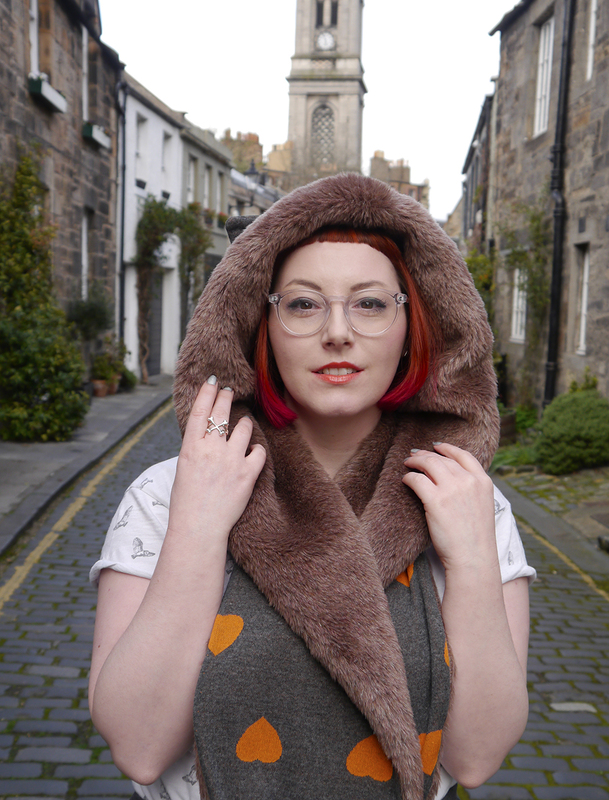 Chouchou hoods have been a favourite of Scottish bloggers for quite some time. 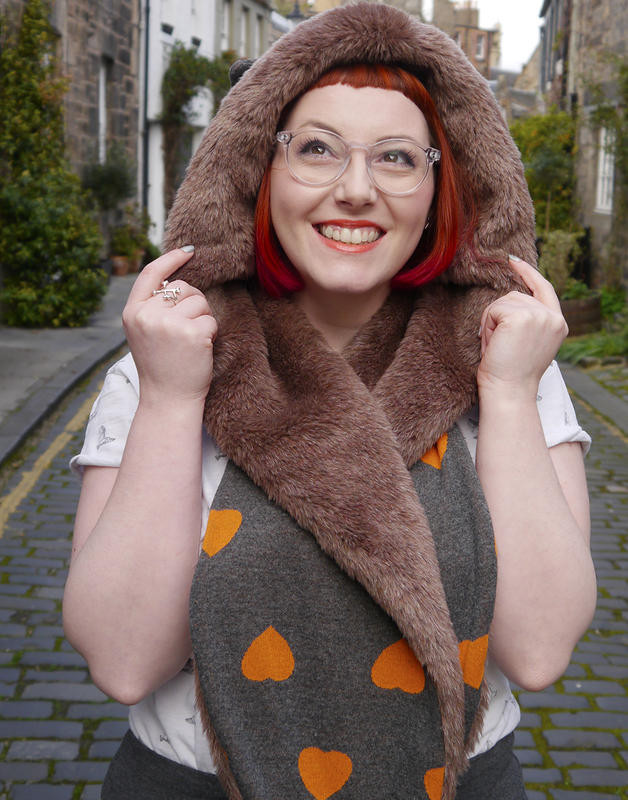 Considering Silvia (the lady behind the brand) produces these in Barcelona, it's amazing that she's designed an accessory so suitable for the Scottish climate. Something fun and lightweight, that keeps you warm and protects you from the rain, it's perfect! Even on the day we shot these photos there was brilliant sunshine followed by hailstones. Typical Scottish sring time. 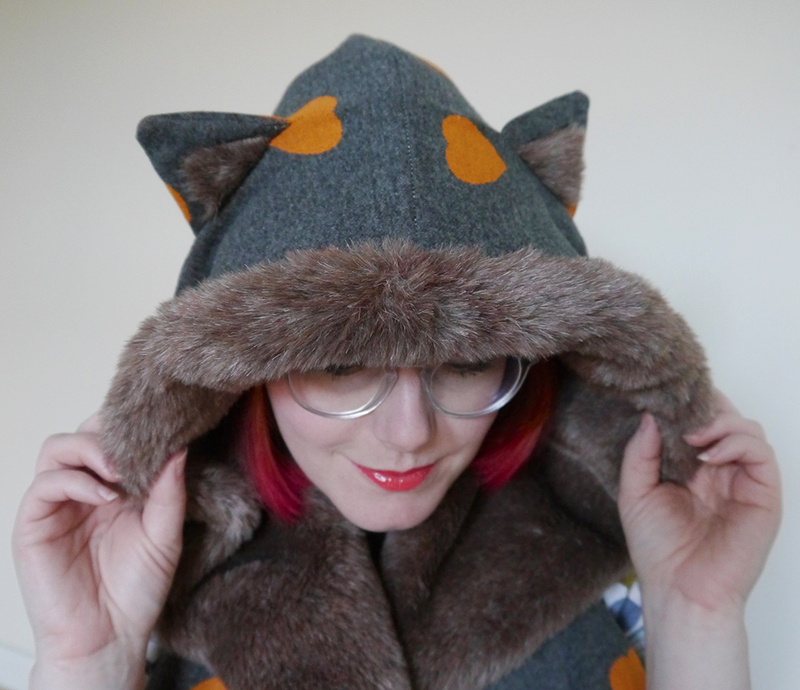 While this classic Chouchou hood shape is a favourite, I'm loving the different styles that have been added to the shop over the last few months. 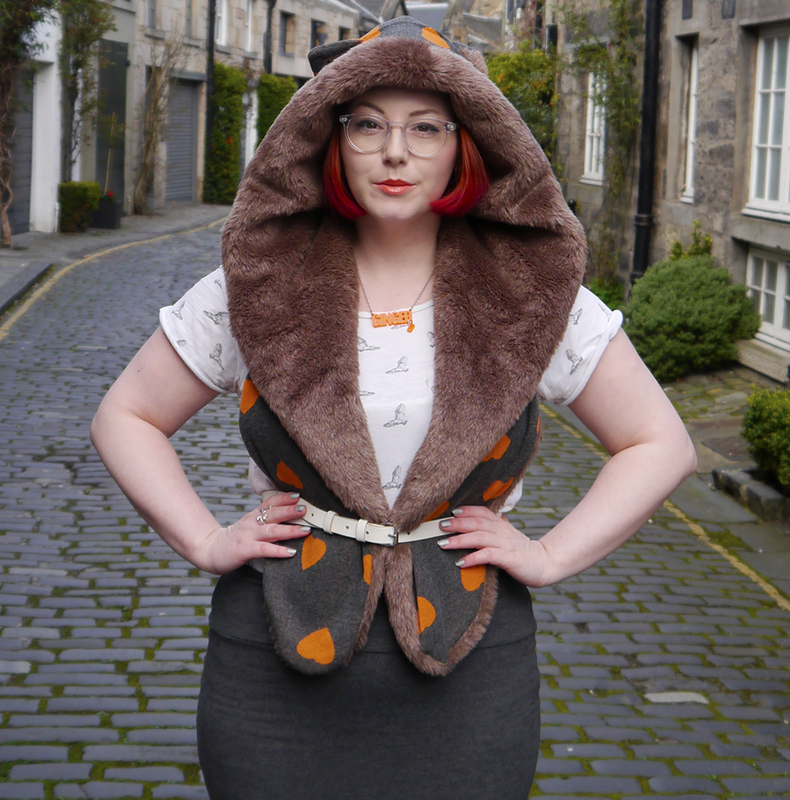 Hello to you Carla Hooded Vest and Lucy Cape. 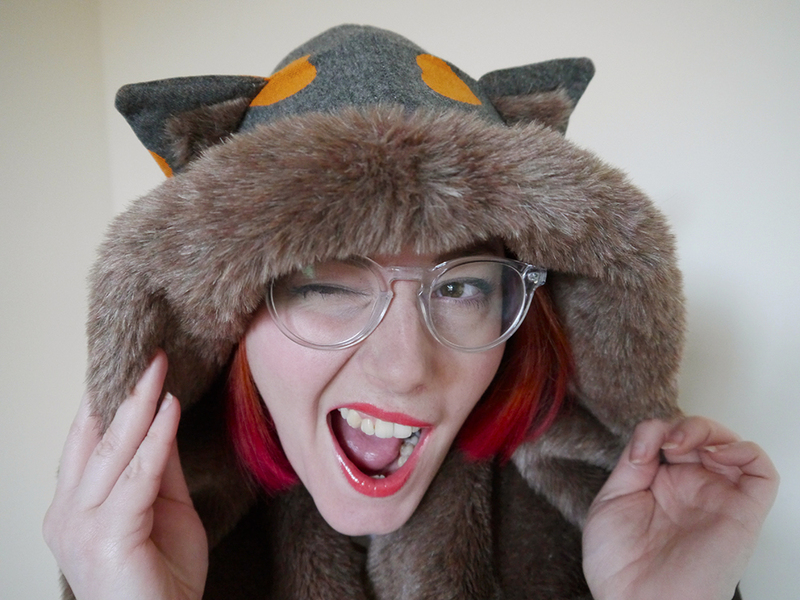 But when it comes down to it, kitty ears really are the best! Talking to Silvia it's clear that she adores Scotland and credits the place with providing the inspiration for Chouchou. After visiting Glasgow for the first time back in 2000 she fell in love with the unique look of the architecture, the beautiful design (Hey Mr Mackintosh!) and the super friendly people. She returned many times and in 2009 decided to move and set up her business. With the idea of creating a full on fashion brand, it soon became clear that the Hood design was a unique piece. Since then, that's where Chouchou's focus has been - creating well made, original hoods using fabrics from Scotland and Italy. Each design is made in a limited run (some are even one offs) so you are guaranteed something special and unique. 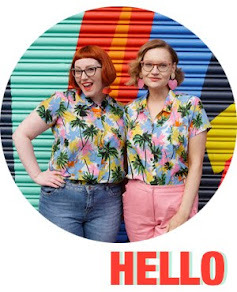 "I wanted to start Chouchou in Glasgow exactly because I feel that the local creative scene is extremely present and inspiring! I believe creative people need to be surrounded by similar types of being to share and grow together. 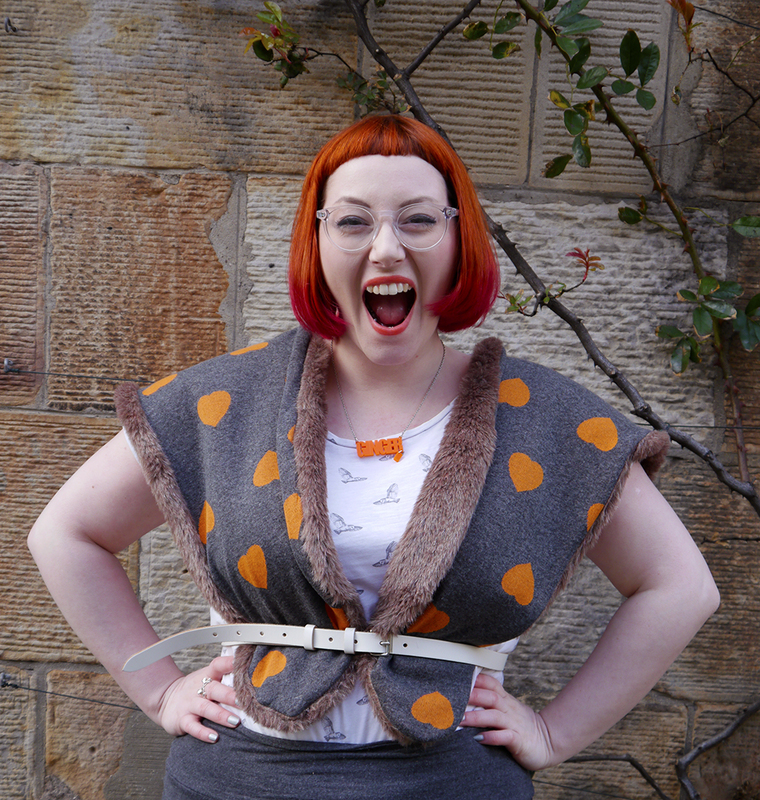 The Scottish scene is diverse and with a strong identity, whether you are thinking fashion or jewellery. Over the years I have made so many authentic friendships and we keep on supporting and pushing each other forward. I LOVE Scotland!!" So, how would you style up a Chouchou hood? Check out Chouchou on Instagram for loads more inspiration. YES YES THIS IS PERFECT ON YOU. I think it's the orange heart print. Just darling. It's weird, I never thought of wearing mine with a belt until Lynsay's recent post - I should sort that out before winter rolls around. It's due on Sunday, I believe.